EDMONTON -- RCMP report that 11 people have died in several separate collisions on northern Alberta roads in the short span of 13 hours. 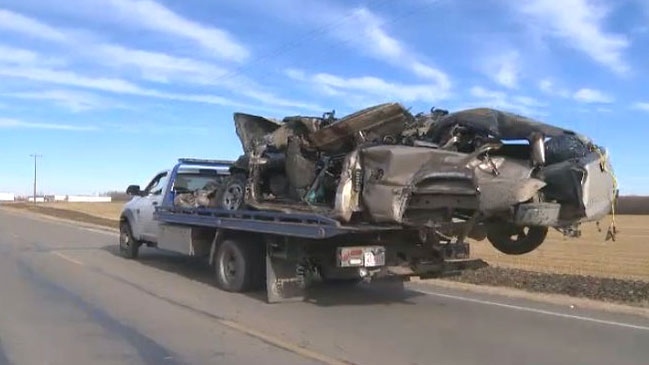 Mounties in Two Hills were called to a crash between a car and a truck near Willingdon, 110 kilometres northeast of Edmonton, at about 8 p.m. on Friday that killed a 44-year-old man who was driving the car. Only a few hours later, officers from the same detachment responded to a single vehicle rollover that killed four of the seven people in the vehicle and sent the remaining three to hospital. One person died in a third crash near Evansburg later in the morning, and another two died after being ejected from a vehicle during a rollover near Peace River. 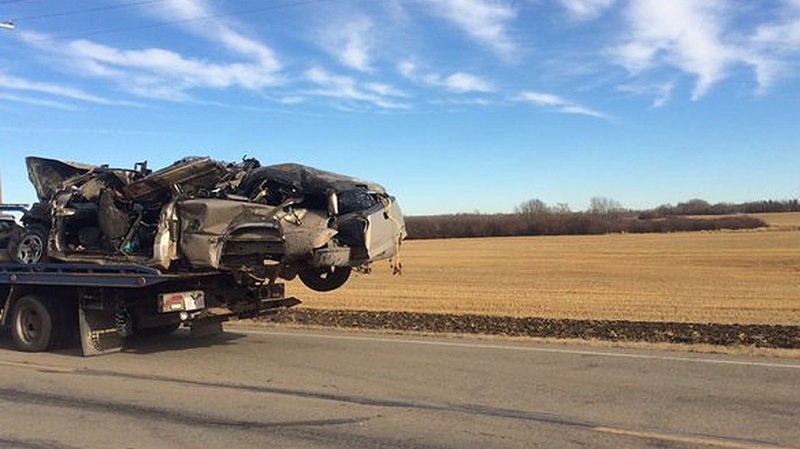 Shortly after nine on Saturday morning, three people who were in a pickup that collided with a gravel truck died in a collision west of Edmonton near Spruce Grove. RCMP Cpl. Leigh Drinkwater says all of the crashes remain under investigation. "To see this volume in roughly a 12-hour period is beyond compare," Drinkwater said. Drinkwater was not aware of the road conditions in each of the cases. Since many of the crashes were in the evening or early morning, he said factors like alcohol or fatigue would be considered. 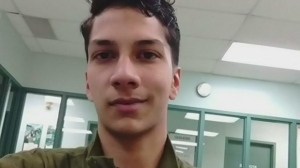 While the number of fatalities would put a strain on the resources of small detachments, Drinkwater said there are enough collision analysts in northern Alberta to assist with the technical aspects of the investigations. Police are reminding drivers to pay careful attention to road conditions and remain focused and clear-headed at the wheel.